And I mean that literally – house selling, flat buying, divorce, new job, a few minor health worries – lots of fun all round. What that means is that I am behind with my planned publication schedule for the second book in the Lightfingers series, That which is below. There’s not much else I can say apart from sorry. I did intend to get the first draft finished in the summer, but I started the year with 27 chapters done (out of a likely 75) and I’m approaching November not having added to that overall total. But I am determined to get it done. And as such I will be posting extracts from the first few chapters on this blog until I do so. Any helpful feedback anyone has to share will be gratefully received. 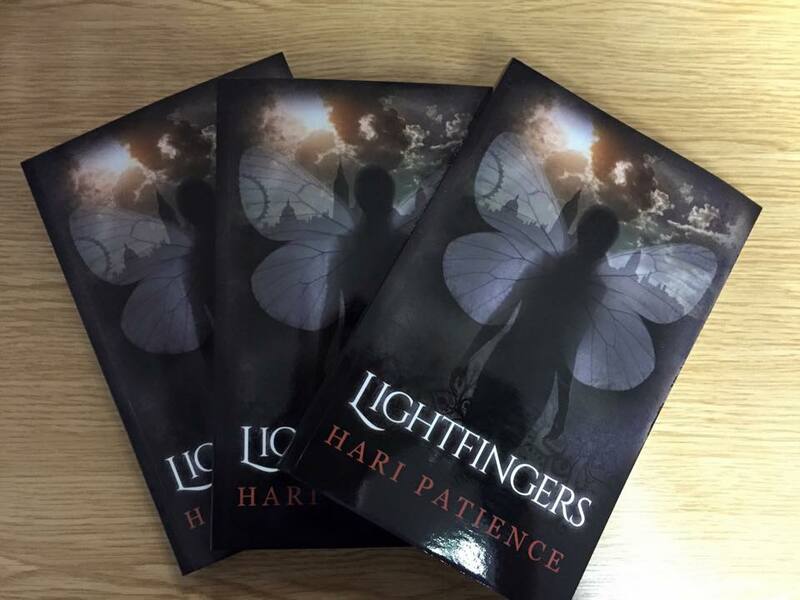 The hardback copies of Lightfingers are now available to buy at Lulu.com. It’s been almost a month since I last posted so I wanted to drop by and make it clear that I am working on both the hardback copies of Lightfingers…. And the sequel. Lightfingers is now up on Lulu.com to buy as a paperback. I mean, it’s one thing to publish an e-book. I download long fic as e-books to my Kindle all the time. I sent earlier drafts of Lightfingers there from word. I am used to reading not-officially-published stuff on my Kindle. But paper is a whole different ballgame. It’s one thing publishing a book using the Amazon KDP system. It allows you to upload word docs and has step by step instructions that a monkey could follow. It’s a whole ‘nother thing realising that you promised people electronic copies as Kickstarter rewards in formats you have no earthly idea how to produce. Luckily my Google-fu is strong and I was utterly unsurprised when my salvation came in the form of the best piece of writing software I have ever bought – Scrivenor. I’m honestly not sure if anyone could ever praise Scrivenor enough. It’s like whomever that first person was to pair cheese with crackers or fish with chips. Scrivenor is the writing software. It’s the perfect writing partner with the one exception that it doesn’t get up to bring you another glass of wine. It’s not just “the best writing software” or the “most helpful” product or the “greatest value for money ever” – it is the best thing to happen to writing on a computer since the invention of the damn computer. It’s wonderful, it’s brilliant, it enabled me to edit and rewrite Lightfingers without losing my mind, and it’s only THIRTY QUID. Oh, and it enables export to epub and mobi files, hence my heartfelt hallelujahs that may have been heard all the way across the borough of Islington last night. Seriously if you’re reading this and you write for fun or professional purposes at all, you need Scrivenor in your life. And now that I’ve said all that I’m proud to say that all Kickstarter reward electronic copies of Lightfingers have now been sent out, so it’s on to the paper and hard back versions. Huzzah! I like to think that I’ll always remember last night, coming home from a ukulele lesson on my crutches (long story) and thinking, it’s been 6 hours, maybe Amazon will have passed Lightfingers for publication and idly checking my phone, because, who knows? And there it was, available for purchase. As of 1pm today UK time I have sold 13 copies of my book via Amazon’s US, UK and Canada sites. I have also created the DRM-free PDF and have sent it to all of the £2 backers of my Kickstarter who favoured PDF as their preferred medium. Epub and mobi to follow along with the paper copies. And here I am, a published author. I tell you what, it’s a damn good feeling.